I’ll tell you what else is so sad: the thought that we’ve probably heard the last of the Electric Light Orchestra, one of the truly iconoclastic bands to emerge in the 70’s. 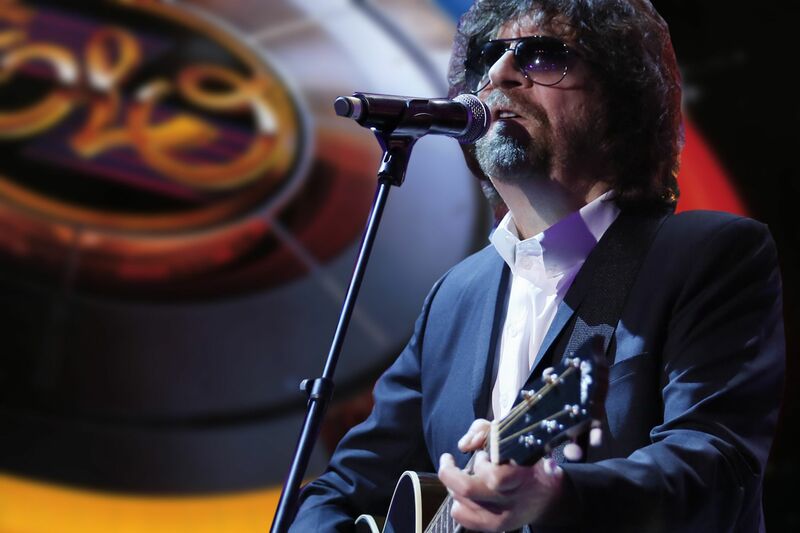 As nice a tribute to the music of his formative years as Jeff Lynne’s Long Wave is, it is also one more reminder that we can’t expect a reunion tour by the band who carved such a one-of-a-kind British symphonic rock niche. 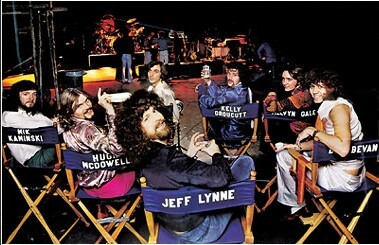 Beginning with the “Showdown” single in late 1973 (a favorite of John Lennon’s as the story is told) Lynne and his supporting cast released a series of ever more ambitious albums (Eldorado, Face the Music, A New World Record) culminating with the platinum-selling double LP Out of the Blue in 1977. With its gatefold cover adorned with a spaceship that brought to mind 2001: A Space Odyssey and simultaneously punched up the Star Wars/Close Encounters zeitgeist, Out of the Blue was an album you bought and rushed home with. And beyond the eye-popping artwork, the 17-song, 70-minute epic didn’t disappoint musically. In fact, in addition to its four charting singles (“Turn to Stone”, “Sweet Talkin’ Woman”, “Mr. 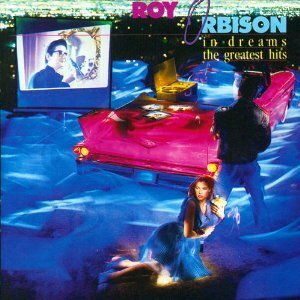 Blue Sky” and “It’s Over”) the abundance of great album tracks is truly stunning. 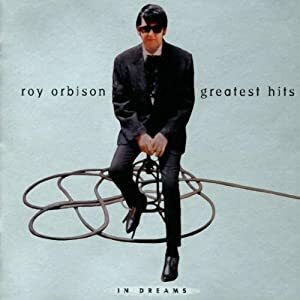 It was the band’s artistic and commercial high water mark. It was also archetypical of the kind of commercial pop rock (ABBA, Journey, Toto, Foreigner, et al) that has found favor with next-generation fans, musicians and tastemakers. No less a standard-bearer of nouveau geek chic than the Decemberists made “Mr. Blue Sky” an encore of their live set during their breakout tour of 2006. And Doctor Who, Britian’s foremost cult TV phenomenon, dedicated an entire episode subplot to the music of ELO. So if you still think you’re too cool for this band, think again. 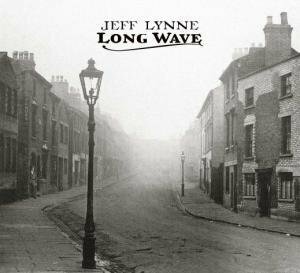 Is Jeff Lynne’s Long Wave a bad LP? Not by a long shot. As this cover of the Everly Brothers’ 1960 hit demonstrates, Lynne has a knack for finding the essence of the song, marinating it in that trademark Lynne sound, and creating something pleasant to the ear. Is his sound a watered-down Beatles imitation as some say? Good question. I’ll answer it with two more questions: 1) Aren’t most bands some form of the very same thing? and 2) Is there anyone more worth imitating? 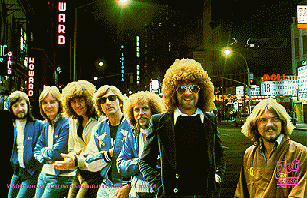 No, I’ll never have a problem with Jeff Lynne being such an obvious Beatle disciple. My only lament isn’t that he gives us “watered-down Beatles”. It’s that at this point perhaps all he can offer is watered-down Electric Light Orchestra. For the past decade, not much has been heard musically from ELO mastermind (and solo artist/former Traveling Wilbury) Jeff Lynne. For fans clamoring for some new Lynne recordings, you are about to be treated to a pair of new releases from the bearded, sunglass-sporting gentleman. 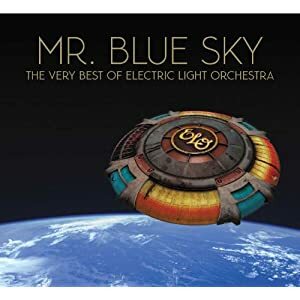 October 9th will see the release of both Long Wave and Mr. Blue Sky: The Very Best of Electric Light Orchestra – the former a covers collection of early radio favorites of Lynne’s, and the latter re-recordings of ELO classics.